Brand New Construction on Trout River! 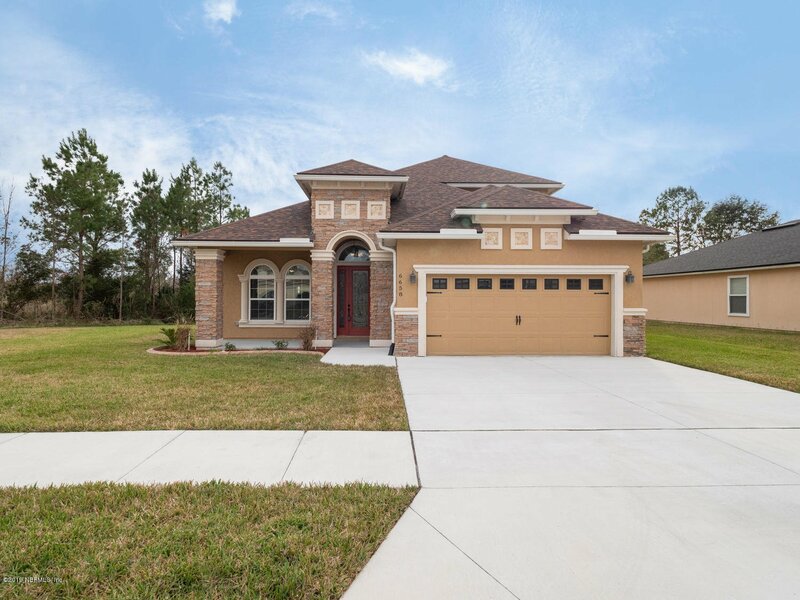 4 Bedroom, 3 Bathrooms plus Bonus & 2603 Sq Ft! Stacked stone accents & arched windows. Inside you find Coifered ceilings in the front room that can be used as the Formal Dining Room or Formal Living Room. Luxury Vinyl Tile cover the floors in the main living areas. The Kitchen has all of the modern upgrades including Granite counter tops, island with breakfast bar, tile backsplash, pantry closet and loads of cabinet space. Master on Main with trey ceilings, walk-in with custom closet System. Master Bathroom includes double vanities, garden tub and huge walk-in shower. Two additional bedrooms are downstairs that share a bathroom and separate room dedicated to laundry! 4th Bedroom upstairs with (more full bathroom and Bonus Area! Enjoy the view of the River all year from the screened back porch. A pavered pathway leads to the dock with water capable of sustaining a 21 foot boat. Wonderful, friendly neighborhood, conveniently located near schools, shopping & downtown Jacksonville.